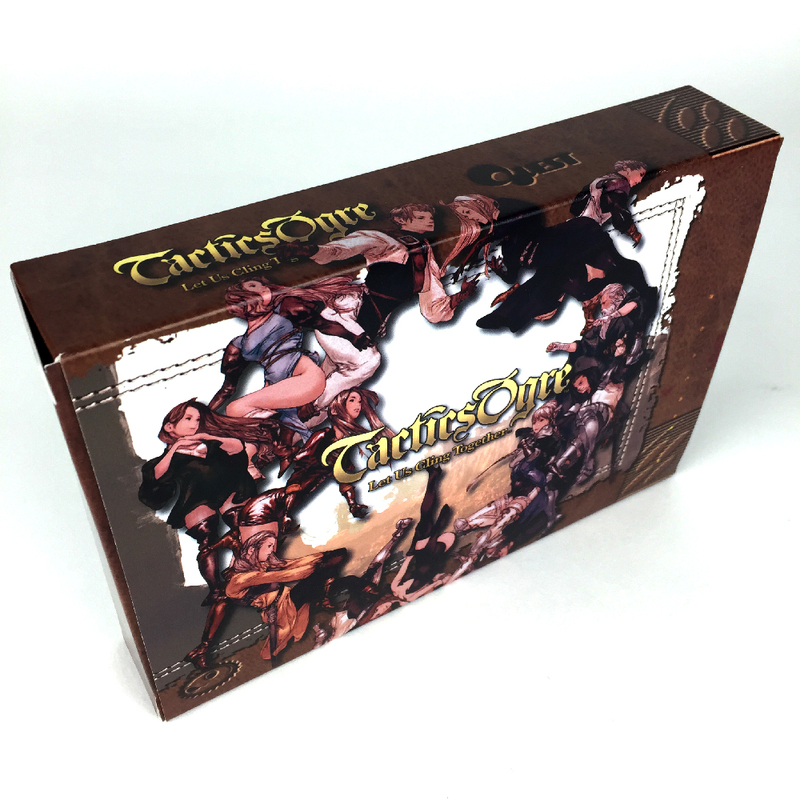 Tactics Ogre: Let Us Cling Together is a Japanese tactical role-playing game created by Quest. The game was originally released in 1995 on the Super Famicom in Japan. The gameplay of Tactics Ogre is similar to the turn-based strategy style of tactical RPGs. Like other tactical RPGs, the player builds up a team of several characters with changeable classes and fights battles on isometric grids. The order of movement is determined by the speed of individual characters, in contrast to games in which each side moves its entire team at once. Each character is moved individually on the grid and the order of combat is calculated for each character individually. Chronologically, it is the 7th episode of the Ogre Saga. For eighty years, Valeria has been in constant strife, and its three leading ethnic groups all claim leadership. King Rodrick, aided by the forbidden powers of the “Palace of the Dead,” is able to dominate the people of Valeria until Dorgalua of Bakram successfully leads his army to defeat Rodrick. Dorgalua then claimed the throne as his own, and was able to end the struggle between the ethnic groups. Under King Dorgalua, the rights of the people were preserved, and all internal struggles in Valeria came to a temporary halt. Denam Pavel is the primary protagonist in Tactics Ogre. He is the son of Abuna Prancet, and after Prancet was taken away by the Dark Knights and his home town was massacred, Denam, his sister Catiua, and his friend Vyce plan a vendetta against the Dark Knights. He must lead the “Liberation Army” to bring freedom to the oppressed nation of Valeria.